Lisa Suennen is senior managing director at GE Ventures, focused on early-to-late stage health care investments across health IT, health services, and medical devices. She is also managing partner at Venture Valkyrie Consulting, a publishing and business advisory firm. Suennen is also founder of CSweetener, a nonprofit focused on matching women new to the health care C-suite with experienced mentors. Previously, Suennen was a partner at Psilos Group, a health care venture capital firm. Prior to Psilos, she was an executive at Merit Behavioral Care, an $800 million behavioral health care company, from start-up through IPO and successful exit. Suennen is a board member of the Dignity Health Foundation, Heart To Heart International, and HealthXL. She is an advisor to the CHCF Innovation Fund, the American Heart Association Innovation Think Tank, and NASA’s Translational Research Institute. She is also an Aspen Institute Health Innovation Fellow. She writes a widely read blog on health care and investing at venturevalkyrie.com and hosts the popular podcast Tech Tonics. 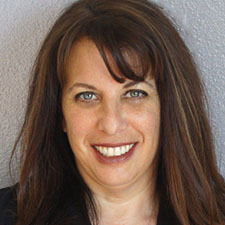 Suennen holds bachelor’s degrees in political science and mass communications, and a master’s degree in political science, from the University of California, Berkeley. She also on faculty at the UC Berkeley Haas School of Business, where she teaches courses on health care venture capital.